This is a 12 X 32 Appx. inch carved wooden sign designed for your!! 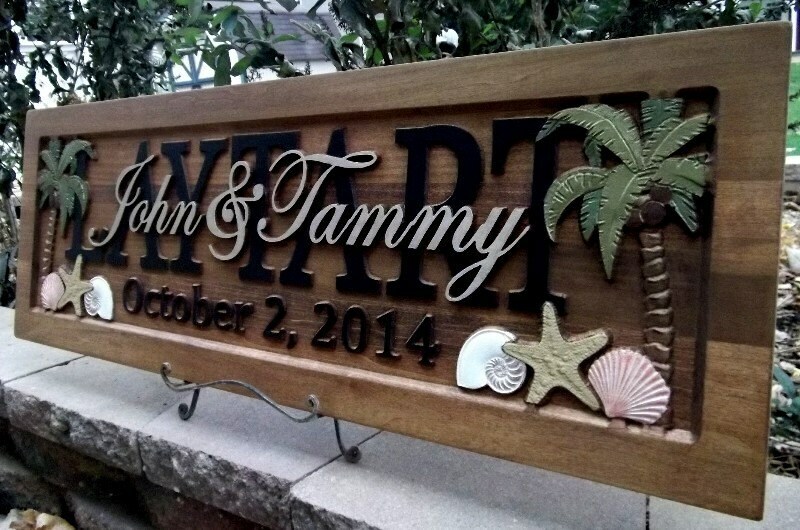 Each of our signs is individually carved and crafted in 100% real wood. We use only the finest, select, woods available. Hand painted with gloss black and metallic champagne lettering . We have added two sawtooth hangers for your convenience and fast display! Amazing! Thank you so much. My parents loved it. Cheryl was EXTREMELY customer service oriented. They rushed this item for a 50th anniversary gift. I would HIGHLY recommend using this company, extremely nice people ! !